H.W. Wilson publishes database and reference resources to serve libraries, schools and corporations. Biographical, up-to-date profiles of accomplished and rising stars. Identifies the best and most current material available to your library. A balanced exploration of current topics through selected essays. Concise, critical evaluations from selected periodicals. The standard thesaurus of subject terminology for libraries. Broad, timely coverage of general-interest periodicals. Coverage of legal periodicals and monographs. A unique guide to short stories of all styles and genres. An expansive series of reference titles. Famous first facts to inform and entertain. Complete and in-depth historical chronologies. Biographical articles on significant authors. Gain access to the online databases of our titles. “ Continues to shine as one of the best biographical reference sources for major figures in American life and culture. “ This volume looks at America's relationship with North and South Korea. “ Designed for acquisitions librarians, reference librarians, and catalogers. “ Chronicles the remarkable lives and ideas of over 500 individuals who changed the way the world works. “ The standard thesaurus of subject terminology for small and medium-sized libraries since 1923. 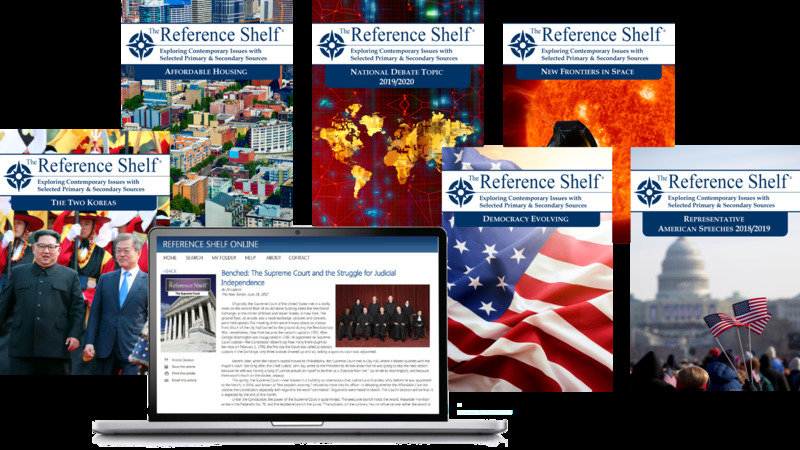 Reference Shelf titles are now available online with a subscription purchase. With unlimited users, and remote access included, your students and patrons can connect immediately to this rich collection of research on the most-debated current event topics: anytime, anywhere! 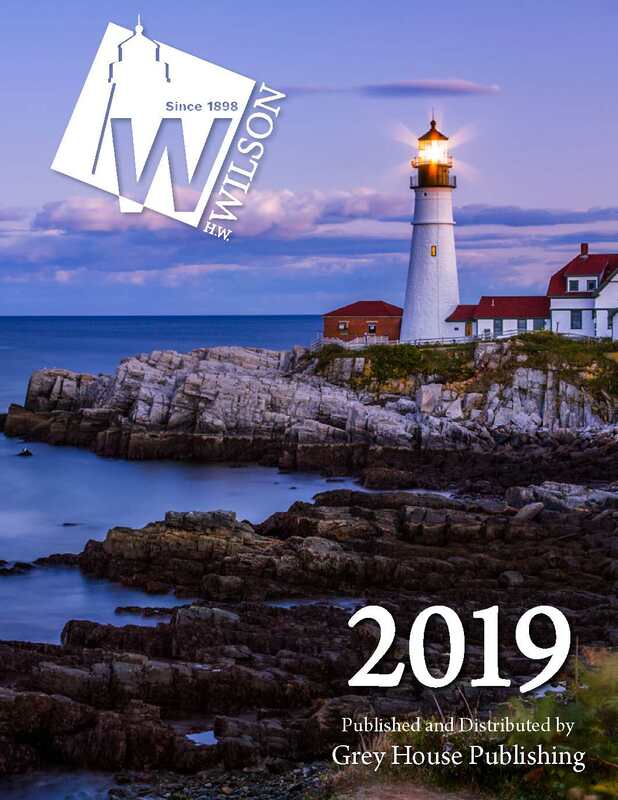 Check out our 2019 Catalog for information on all of our titles. Get updates on H.W. Wilson's latest news and promotions.